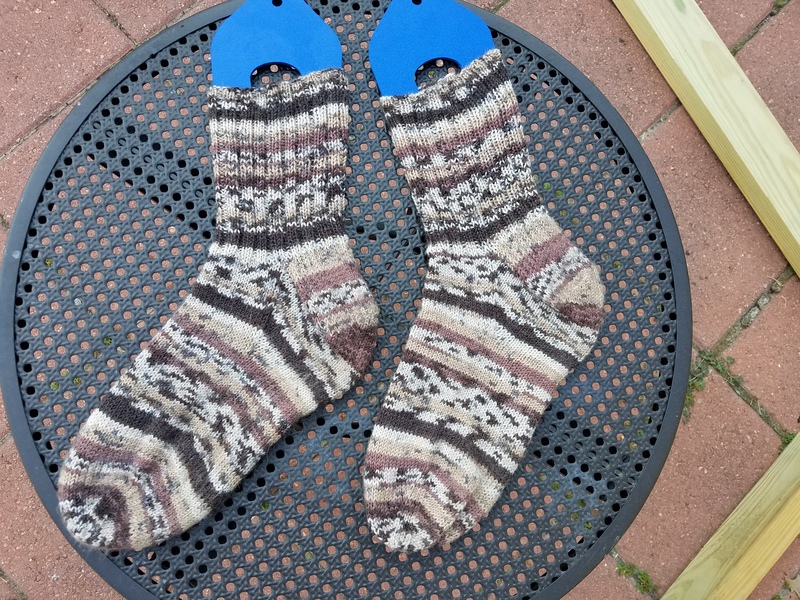 Last week I finished some socks for John. They were knit with hand me down yarn from Ivy. I wish I knew what kind of yarn these are knit with so I could never knit with it again. The individual plys were not wound together well and I constantly had one flopping about. I am glad these are done. I picked up some sock yarn today to make him another pair. I might be using his appreciation of hand knit socks to justify buying more yarn.